Must Watch Trailer! 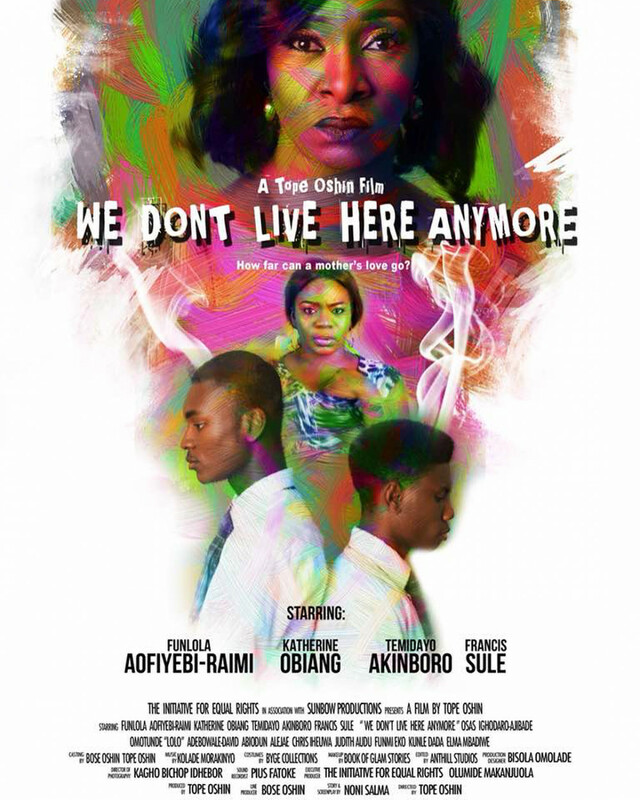 Funlola Aofiyebi-Raimi, Katherine Obiang, Osas Ighodaro Ajibade star in "We Don't Live Here Anymore"
In a prominent high school, two teenage boys, Tolu Bajulaiye and Chidi Egwuonwu find themselves embroiled in a high stake scandal that could alter the course of their future. 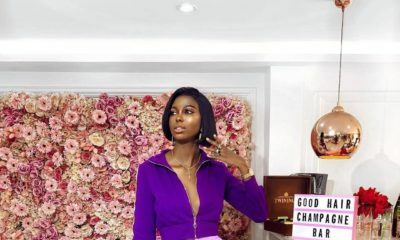 With an impending expulsion at bay, Tolu’s mother, Nike who is a powerful matriarch pulls all the strings within her palm and resets the tone into what would become a battle of class, blackballing and a triggering society ready to punish anything besides the status-quo. 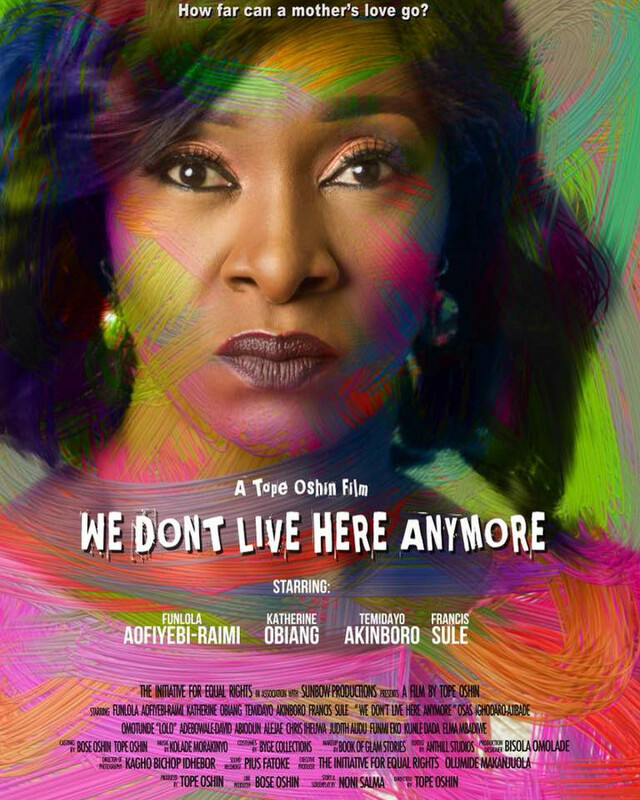 We Don’t Live Here Anymore which was directed by Tope Oshin, written by Noni Salma, and produced by TIERs a nongovernmental organization stars Funlola Aofiyebi-Raimi, Katherine Obiang, Osas Ighodaro Ajibade, Chris Iheuwa, Judith Audu, Lolo 1 and more. 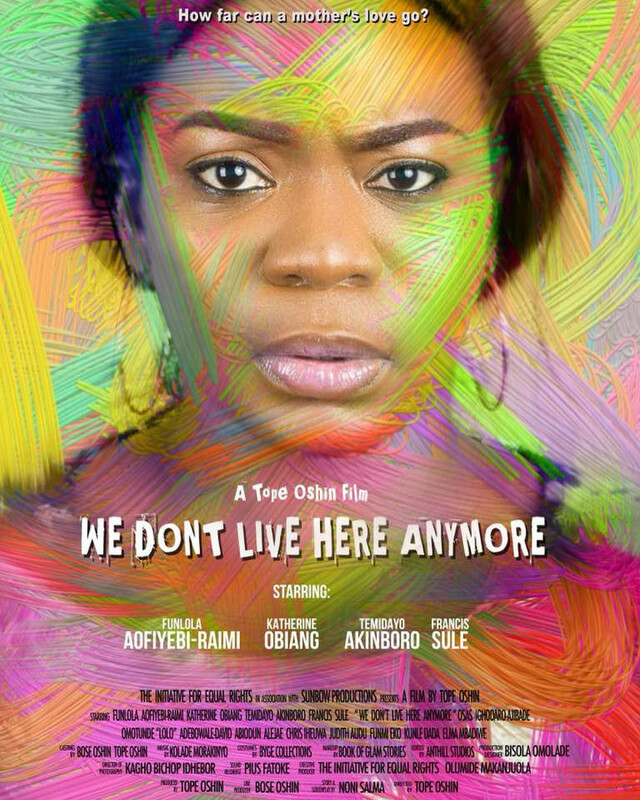 Nigerians now pushing this gay thing through our films. Wondering what our censor’s board is doing. Well, Tope Oshin has to come out one way or the other. Don’t cramp her style. Congrats Tope! It must be stressful being in the closet. This way you can be free whilst pretending it is for the story lol! 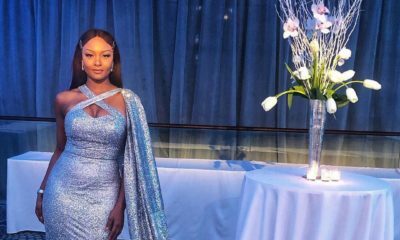 Nigerias first openly lesbian director to be added to the bio? That will definitely get more press.